If you have been reading the captions that accompany the images on this web site you must know by now that I am a big fan of weddings being held at any of Long Island, New York’s Gold Coast Mansions. I have had more opportunities to photograph weddings at all of these spectacular venues during the course of my career as an award-winning wedding photographer. I love working at Oheka Castle in Huntington, NY; The Glen Cove Mansion; The deSeversky Mansion at NYIT, Mill Neck Manor, Coe Hall at Planting Fields Arboretum, The Royalton at Roslyn Country Club, Fortunoff Hall at Dowling College, The Vanderbilt Estate in Centerport; The Bourne Mansion in Sayville, NY and at the location pictured here...the mansion at Old Westbury Gardens. 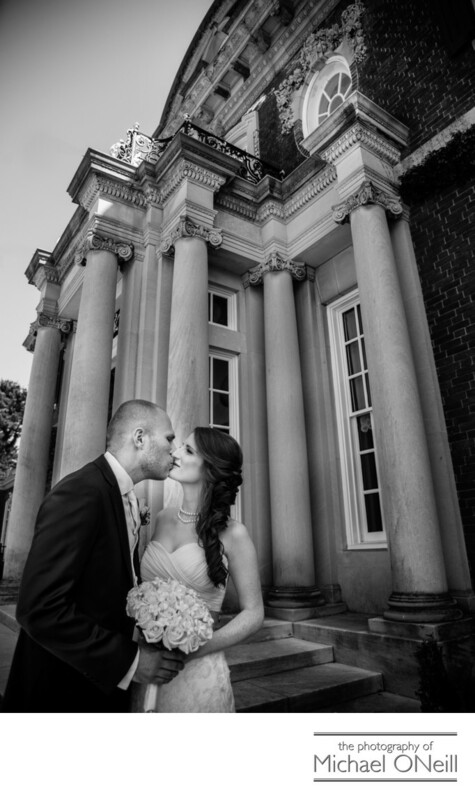 The architecture of these stately old mansions provide an elegant backdrop for amazing wedding photographs. All of these venues have beautifully manicured properties surrounding them and offer photo opportunities that range from the most traditionally elegant to the most contemporary styled. If you are planning a wedding at one of Long Island’s mansions you owe it to yourself to give me a call. Work with a photographer who not only has the experience needed to create great wedding pictures, but with one who is inspired by these great locations and is excited about creating wonderful photos with you.